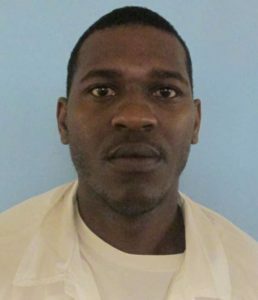 Michael Dewayne “Big Boi” Johnson of Birmingham, AL was sentenced to 20 years in prison after pleading guilty to two counts of distribution and one count of distributing heroin with cause of death or serious injury. According to US Attorney Jay E. Town, Johnson had sold the drugs in July of 2016. The same day the heroin was sold, the 31-year-old and 18-year-old Cullman men who had purchased the drugs were affected. The 31-year-old man died and the 18-year-old overdosed and was seriously injured. According to court records, Johnson told the victims, “Be careful, this (expletive) will kill you,” when he gave them the drugs. Officials did not release the names of either the man who died or the man who survived after overdosing on the heroin. Johnson pleaded guilty to distributing heroin in Jefferson County on August 3, 2016. The judgement was read nearly 18 months after the victim was killed. Michael Johnson appeared before US District court Judge Madeline Hughes Haikala of Jefferson County. The penalty for distributing heroin that causes death or serious bodily injury is 20 years to life in prison and a maximum $2 million fine. The maximum penalty for distributing heroin is 20 years in prison and a $1 million fine. DEA investigated the case, which the U.S. Attorney’s Office for the Northern District of Alabama is prosecuting.